William Forrester (Sean Connery), Finding Forrester, 2000. I was fresh from writing guest columns for the Denver Post – a “Colorado Voice” – when the next step in my journey came up in two separate conversations, with similar opinions being voiced. Police officers don’t often believe in coincidences. So, maybe it was unavoidable that I’d resolve to begin my first novel. Not knowing how to begin, I sat down and began writing anyway. The main character evolved with the help of a close work friend, so Amy resembles her, especially in temperment. Situations I (and, sometimes we) had encountered became building blocks for a story. The intrusion of technology, especially computers, into law enforcement became the underlying source of tension. That’s not where the plot, or Amy, ultimately took me. Amy is a police woman. Simple, right? It depends on which word enjoys the emphasis. Is she a police officer, a woman…or Amy? Amy Painter loves her job, and is gifted. She’s a mother, and blessed. A wife – loved. There just isn’t enough of her to go around. Being a police officer… It’s easy to think of her that way, right? Law enforcement is a profession that consumes people. It changes who they are, what they think, how they feel…if they feel anything at all. It would be easy for Amy Painter, and Sergeant Painter, to merge, be indistinguishable. It may already have begun. Amy is no quitter. She fights for her career. She fights for her marriage, her family and her future. Who would be there in the fight for her life? So I've been told by a number of people. I think most writers hear that from time to time. Usually, it’s coming from a friend who has an awesome plot concept in them. They explain why they can’t focus long enough to get the words on a page. Believe me, I know that feeling of unease. If a journey of a thousand miles begins with the first step, an adventure involving a hundred thousand words begins with a single keystroke. A story line, a main character… A reason to sit down and type. There are a dozen reasons why Amy. The most succinct answer is that she could overcome the obstacles I would throw in her way. My main character would accept the challenges, fight the battles and win…mostly. What battles? Not the ones one might think. It is a cliché that the most harrowing struggles an officer faces are at “The Station.” It’s often repeated because it’s always true. Sexism, and sexual harassment. Biases. A system designed to reward performance that doesn’t necessarily contribute to public safety. The calls on the street are the fun stuff. It’s what happens next that needs to be told. Most officers are well trained, competent and capable crisis managers. We get a steady dose of conflict to stabilize, and problems to solve. That almost all of them are not of our making… Well, that’s the gig. But, efficiently calming tempers, sorting out issues and expertly crafting solutions, even temporary ones, isn’t necessarily what is rewarded, or respected. Why Amy? Because I wanted you to see what happens to her. Because I wanted you to see what happens to a lot of women who answer the call to serve their community. 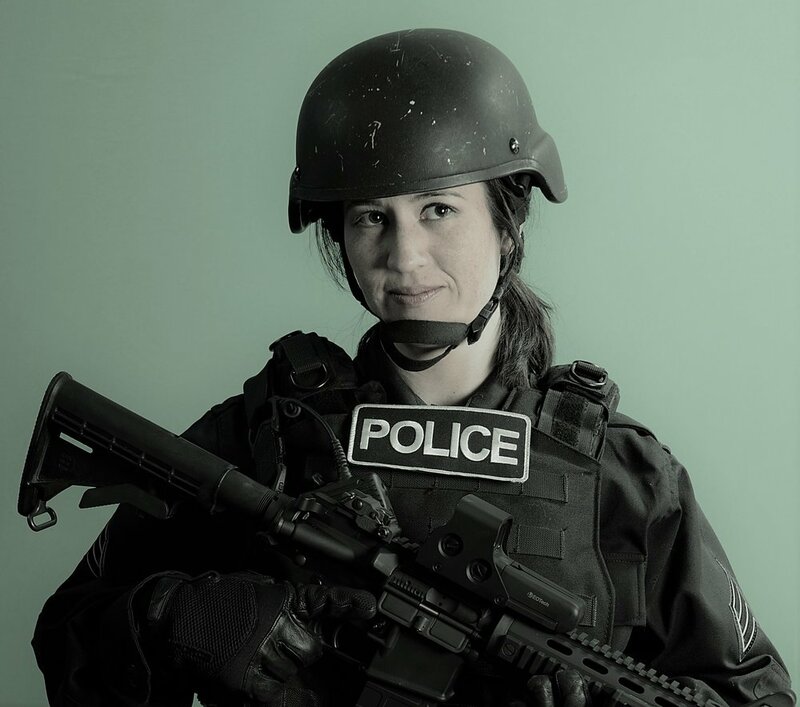 Flatiron Valley (CO) Police Sergeant Amy Painter has it all. Her fulfilling marriage to a successful aerospace engineer has given them a rambunctious, precocious son. Although patrol division hours are tough, the work stressful, she feels rewarded in ways sometimes difficult to explain, especially to her husband. When trouble arises, when the ill winds blow, she responds as a SWAT-trained leader should – from the front. Ken Painter never thought his life would include nights in the emergency room spent pacing while a doctor stitched up his cop wife yet again. Hours in the classroom, multiple degrees and a management position in a prosperous firm usually meant spousal freedom, the chance to stay home and raise the brood. Well, when a man marries the female, Vietnamese-American equivalent of Chuck Norris that plan quickly becomes moot. Amy’s department struggles with the usual law enforcement challenges. Budgets are tight, cops are tired and command staff is more worried about themselves than they are the officers on the street. Tension builds when a female officer complains that the new computer system is a pile of junk, only to be slapped down for not being macho enough to deserve an opinion. Amy intercedes, and walks into a buzz saw. If only these were her only worries. Annoying, mildly intrusive glitches in her patrol car computer evolve from benign to decidedly aggressive as it becomes increasingly apparent she’s attracted a stalker. Unwilling to admit this to her department, her husband or herself, she enlists the clandestine help of a detective friend to ferret out the truth. The stalker’s cleverness conceals his identity, even his existence, until an explosive device maims an officer. Amy publically admits her suspicions, enraging her boss. And Ken. The stalker is undeterred, even aroused, by the enhanced scrutiny of a full-blown departmental investigation. He murders Amy’s closest work friend. In the aftermath Amy crumbles, is put on administrative leave and urged to consider her future. Ken leaps at the opportunity to whisk her away to Florida and renew his call for her to resign. Finally, after a blissful night together, she agrees. Her return to duty, in anticipation of her career’s end, finds her leading a rescue mission. Shot, held hostage as he lies dying, her friend is mere bait, meant to lure her close. She cannot decline the invitation to a final confrontation. She leaves protective cover, to face her nemesis. “Mr. Painter, you and Mrs. Painter would really enjoy this unit.” the real estate agent said. His smile seemed…uncomfortably sincere. Doctor Kenneth Matthew Painter, PhD, worked impossible hours. His wife had the world’s shittiest job and they had an active son. A beach home on the Gulf of Mexico, for the casual long weekend or the rejuvenating week away, would be fabulous. Unfortunately, he and the agent weren’t bonding. Standing just outside the condo the agent would show them, he bristled with pique. “We’re looking for a place to get away from the…” He paused. Did this guy really need to know why? He was a functionary, a necessary evil. He should open the door, before Amy’s patience ran out. The three of them stood at the oak door on the entry-way landing. The small round, sweating man fumbled with the lock box combination. Several times it slipped from his wet hands, thumping against the door. What was this guy so nervous about? The agent pulled out a crumpled slip of paper that looked as though it had been ripped from a napkin. Perhaps it was the corner of an otherwise meaningless document lying on the man’s no-doubt cluttered desk. He turned to say something to his wife, perhaps a nasty comment about the man's obvious incompetence. She was gone. Sandals in her hand, Amy stood on the beach in front of the duplex. Long, soft, silky black hair blew in the fresh breeze, until she grasped it with her free hand and piled it in a mound on her head. There was no doubt Amy and he would consider this property. The duplex was an up-and-down design that faced west. It was three stories tall, actually, with something of twin basement and garage things for each unit as the ground floor. Rather than side-by-side, one unit was stacked on top of the other. Amy was standing at what was the back of the house. A sea wall wrapped around the structure’s base, and there was a small brick patio for each unit that fronted on the powdery white sand beach of the Gulf of Mexico. Except for several palm trees planted within the garden area that the sea wall enclosed, the view of the beautiful aquamarine Gulf was unimpeded. “Honey, I think Ernie has the door open,” he said. His task orientation was calling to both of them. Amy had just given him an unmistakable signal. Her parents’ house had a breathtaking view of the Pacific Ocean. Amy still cried when she described how much she missed sitting by the ocean with her parents, watching the sun go down. He was already doing the math. He was also staring at his wife, because he liked to. Her beige, nylon cargo shorts showed off the long, fit legs she attained with regular visits to the gym and long bike rides. A light blue, sleeveless silk top of delicate fabric hung from spaghetti straps over well-developed shoulders. She was an accomplished, talented athlete but her easy grace gave her an unmistakable air of femininity. Perhaps this was whom Amy Lynne Nguyen Macgregor Painter really was - lovely, witty, engaging – standing on the beach in bare feet, awed at the sight of the open water. Maybe the tall Vietnamese-American policewoman everyone called “Sergeant P,” the one who wore SWAT combat clothing and carried an assault rifle… Maybe she was the illusion. “Honey.” He spoke a little louder. “Business? What business are you in, Mr. Painter?” The agent’s confidence was momentarily restored as the door swung open; his smile returning in full Technicolor. Although the expression was the sort of invitational openness salespeople practice in front of a mirror, the unkempt little man was also looking generously at Amy. “I’m an escaped convict,” he said, face as neutral as possible. It was all he could do not to laugh at the wonderfully perplexed expression that visited the man’s face. It was as though the agent’s central nervous system had gone into auto reboot. Glazed over eyes, mouth open… Hello, anyone in there? They passed through a foyer, pausing briefly to look at the crystal light fixture hanging from the vaulted ceiling. It was spotless. 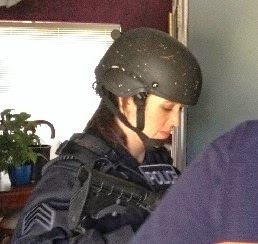 As they climbed the stairs to the unit’s front door and the agent huffed and puffed and fumbled with the keys, he happily remembered that his wife was a trained first responder. She was certified to perform CPR, if necessary. Maybe they should just go back outside, introduce themselves again and start over. Ken was approaching his limit. His mouth opened to announce that he was Doctor Painter, Vice President of BoosterDyne’s Propulsion Division, when he felt his wife put her hands on his waist and dig in her fingertips. Thank goodness, she wore her nails short. The man’s narrow shoulders slumped. A renewed sense of unease overwhelmed him. Poor guy. They were going to buy this unit. Amy’s reaction on the beach was all of the information he needed. They could more than afford it, it was in a perfect location and Amy obviously loved it already. They would make an offer today, write this guy a check for a hundred grand as earnest money and then go out for sea food. He wasn’t going to make this easy, though. “You’ll regret that,” he said, chuckling. He intended amusement to infuse his words. His wife had signaled him to be kind. He was trying. He’d have a nice, big cup of shut the heck up and let Amy handle this. “Yes,” was all he could manage. Their home in Flatiron Valley, back in Colorado, had the same style. He didn’t have much of an eye for that sort of thing, but standing here looking through the unit he had to agree. The entryway was a small foyer with a closet just to the left. That area melted effortlessly into the kitchen, with generous marble counter tops, stainless steel appliances and big hickory cabinets. To the right was the dining room. A gorgeous cherry-wood table, with six beautiful wood chairs, shone in highly polished brilliance just below a crystal light fixture. One of the bulbs had burned out. But that wasn’t all that caught his eye. My unit? He had watched his wife’s body language, to read her reaction to this place. It was obvious that she need not see another property just by the way she held herself. This fellow had better not be looking at her that carefully. “Everything is designed to draw you toward the water, isn’t it?” Amy walked slowly through the living room, toward the big glass doors that separated the interior from the screened porch – the lanai – that overlooked the beach and the water. Never one to use a word where a sentence will overstate your case, huh? He was never going to like this guy and would watch him collect his commission with a great deal of regret. Amy opened the sliding glass doors and stepped onto the porch. Gracefully, as though she could slow down time, she sat lightly in one of the wicker chairs and crossed her legs. “Barkeep, margarita s’il vous plait.” She held her left hand up and snapped her fingers. “Oui, mon cheri. One mixed metaphor, no waiting,” he replied. It got them both laughing. She was irresistible when she spoke French, and she knew it. “I love this view,” Simms said. “The master is generously sized,” Simms said with a smile. “The canopy bed is especially nice and it compliments the room without overtaking it. You have access to the lanai through a large slider. The master suite’s whirlpool tub is also a very nice place to recline after a day in the sun and surf. That does it. Enough of this guy looking at my wife and describing where she could recline after a day in a swim suit. He walked quickly through the bedrooms – the guy was right about both the tub and the bed – and signaled to Amy that he’d seen enough. “We’ll make an offer, of course,” Amy said. “The asking price is one point five,” Simms said. “Oh, they’ll get one point two and like it.” Amy’s voice was suddenly devoid of the pleasing lilt it commonly had. It startled the agent, but not him. He always enjoyed this part. He would not say another word until he had to ask where to sign. “I never thought of it,” the agent responded, now totally distracted. He knew this symptom very well. The Painters were not what the agent had expected. Was this guy new? His people skills needed some work. Amy pointed to the kitchen counter. There was no way his wife was ever going to let anyone write on her cherry wood dining room table. He looked at the agent with the most neutral expression he could muster. Amy was done negotiating. She was hungry. “I should get back,” Ernie said. Amy put her hand on the agent’s shoulder and smiled. He couldn’t help but wonder how it had felt, at least figuratively, for the poor man to hit his head on the ceiling. “My treat?” For the first time since they had met, Ernie Simms laughed without affect. All he could do was smile. The lovely young woman who was now flirting shamelessly with the real estate agent had become Mrs. Ken Painter twelve years before. God was having a particularly good day when he’d made her.